Meet our Extended Day Team! Experience: Mrs. Briggs worked for the federal government before becoming a stay-at-home mom. During that time, Mrs. Briggs volunteered for many positions in her children’s elementary, middle, and high schools. Hobbies and Family: Mrs. Briggs is married and has a daughter in college and a teenage son. She enjoys decorating, sporting events, gardening and time spent with family and friends. Experience: Mrs. Holmgren was a stay at home mom for 10 years and spent years volunteering at her children’s school and working in their classroom. Hobbies and Family: Mrs. Holmgren is married and has a son and a daughter. She loves to be outdoors, travel, and spend time with her family. Experience: Mrs. Ortega has over 8 years’ experience working with children that have been diagnosed with ASD (Autism Spectrum Disorder). Within those years, she has worked with these wonderful children by integrating them with their neuro-typical peers at DKH and other schools in the DFW area. 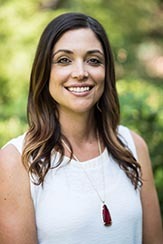 Hobbies and Family: Mrs. Ortega has been married since June 2018 and shares a fur baby, Ziggy, with her wonderful husband. Mrs. Ortega loves spending time outdoors, traveling, and is a die-hard Dallas sports fan! Experience: Mrs. Cardenas has taught as an assistant for two years with toddlers, and now teaches our Spanish Immersion classes here at DKH. Hobbies and Family: Mrs. Cardenas has 3 children, including a set of twins, and she enjoys cooking, traveling and the beach. Experience: Mrs. Griffith taught Kindergarten, 1st, and 2nd grades in both public schools and a private Catholic school in Ohio before becoming involved in the Curriculum and Development of a Multi-age Program. She went on to be one of the first teachers in the district to instruct students in a 1st/2nd grade classroom. 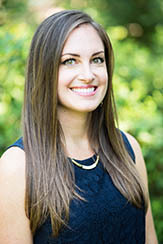 Hobbies and Family: Mrs. Griffith is married and has two grown sons and a daughter who attended DKH Academy. When she toured DKH as a prospective pre-school for her daughter, she knew it felt like home from the moment she stepped through the doors. 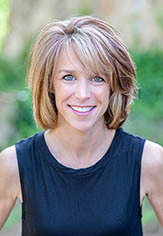 Mrs. Griffith enjoys running, reading, and spending time watching her children participate in their respective sports. Experience: Mrs. Goff spent her college years teaching at 2 local childcare facilities, and was a Substitute Teacher for LISD for 7 years. 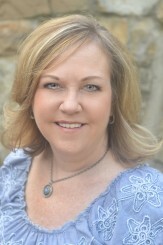 Hobbies and Family: Mrs. Goff is married and has two children, Austin (7) and Abigail (3). She loves to run and participate in local races. She also enjoys swimming, and spends her afternoons watching her son at Taekwondo and her daughter at Gymnastics.